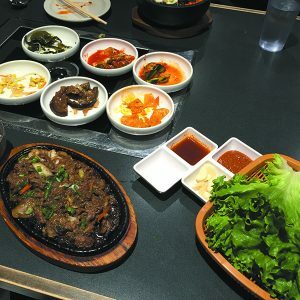 Korean barbecue is a common trend in bustling cities like New York and Los Angeles, but believe it or not, the Metro Detroit area has a few gems of its own. 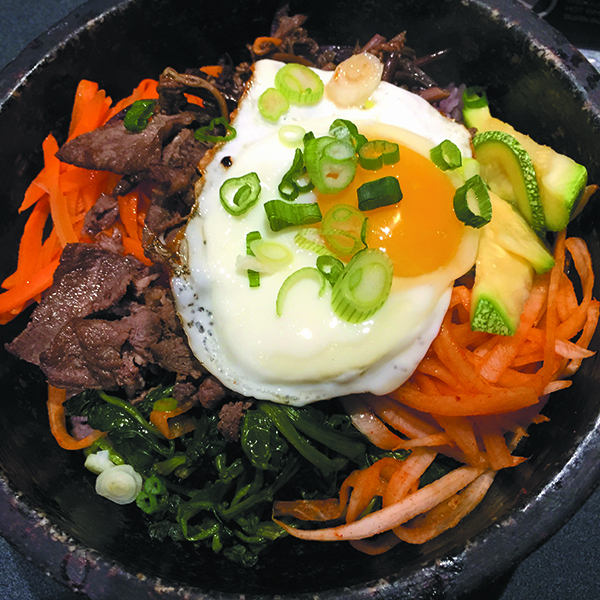 Whether you’re a Korean barbecue pro or just a novice, Korea Palace in Sterling Heights stands out among its counterparts. The notable Chef Won opened Korea Palace in 2011 after years of coaching from two of the best Korean chefs he knows — his mother and father. Since its beginning, Korea Palace has gained quite the following over the years and held the title of “Best Korean Restaurant” in Hour Detroit magazine for several years thanks to the votes of local fans. The interior of Korea Palace is clad in black with dark wood accents, filled with plenty of booths and tables. There’s not an ounce of elaborate architecture, but the eclectic cuisine seems to add more than enough excitement. One of the biggest perks of visiting Korea Palace is the variety of small plates, or banchan, which come with the barbecue entrees. Kimchi, bean sprouts and thinly sliced fish cakes are just a few favorites. 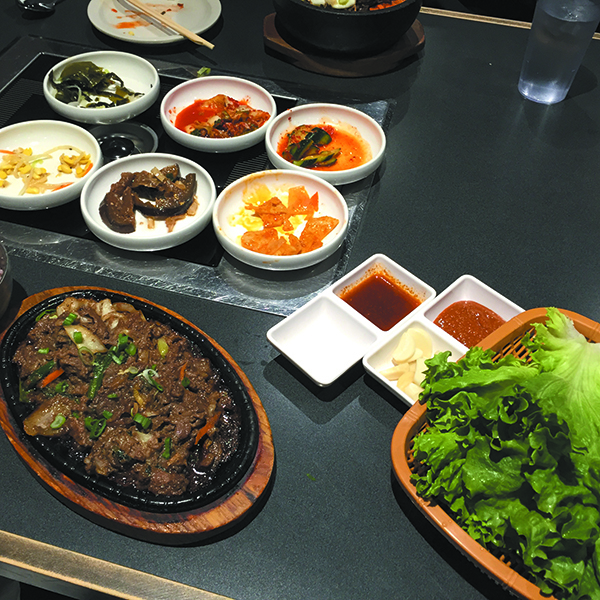 After you have sampled the banchan, the waitstaff will start to prep the barbecue fixings. The combination platters are great for groups and offer a bit of everything. Two popular Korean meat options are the Bul Goki, or thinly sliced rib-eye, and Kalbi, tender boneless short-ribs. The tangy, savory barbecue sauce coating the meat and seafood is beyond satisfying. While the barbecue is delightful on its own, diners can opt to wrap their barbecue feast in a large lettuce leaf or dish it atop a bowl of fluffy rice. Another flavorful option is the Bibimbap, and there’s absolutely no cooking involved. 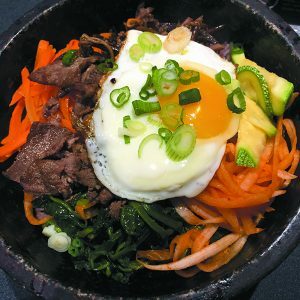 It comes in a piping-hot stone bowl with a protein of choice such as beef or tofu, sauteed vegetables and a sunny-side egg on top. Go Chu Jang, a house-made chili pepper paste, is served on the side. The menu offers a wide range of dishes, so you can stick with what you know or step out of your comfort zone. Once you make your first visit, you’ll find Korea Palace is far more than just your average Korean restaurant — it’s an experience.